Customized Expert Witness Training - by SEAK, Inc. Customized on-site testifying training for corporations, associations, firms and governmental agencies. Representative clients include The Federal Bureau of Investigation, The Department of Defense, The American Society of Civil Engineers, The American Society of Appraisers, The Financial Consulting Group, The IRS, The FAA, The Secret Service, The Securities and Exchange Commission, and The American Academy of Pain Medicine. Our list of corporate clients is kept confidential, but includes Fortune 500 Companies, top consulting organizations, and boutique professional practices. SEAK’s customized programs can be taught at any requested level from introductory to advanced. If you would like a quote for one of our training programs brought to your organization, please call Attorney Jim Mangraviti at 978-276-1234 or request a quote here. “Dear Steve, Thanks again for joining us at our annual education forum. You received immediate rave reviews. I speak for all in attendance that you knocked it out of the park. Sincerely, Mary Narayan, American Association of Legal Nurse Consultants”. “The employees of the United States Secret Service Forensic Services Division laboratory extend our sincere appreciation for the interactive and informative session that you and the Honorable Judge Paul Chernoff offered on “How to Be an Effective Criminal Forensics Expert Witness”. The objective of the training was to review current practices within the laboratory and recommend opportunities for improvement in the documentation and delivery of an expert’s credentials, forensic examination, and the examination results to a jury. Overall, the training and personal experiences exceeded our expectations and we are grateful. In recognition of your outstanding assistance to the FBI in connection with its investigative efforts. Your cooperation was of immeasurable help to our representatives. I share their gratitude for your support, which assisted them in carrying out their responsibilities. You can take pride in the role you played in the success achieved, and my associates and I congratulate you on a job well done. 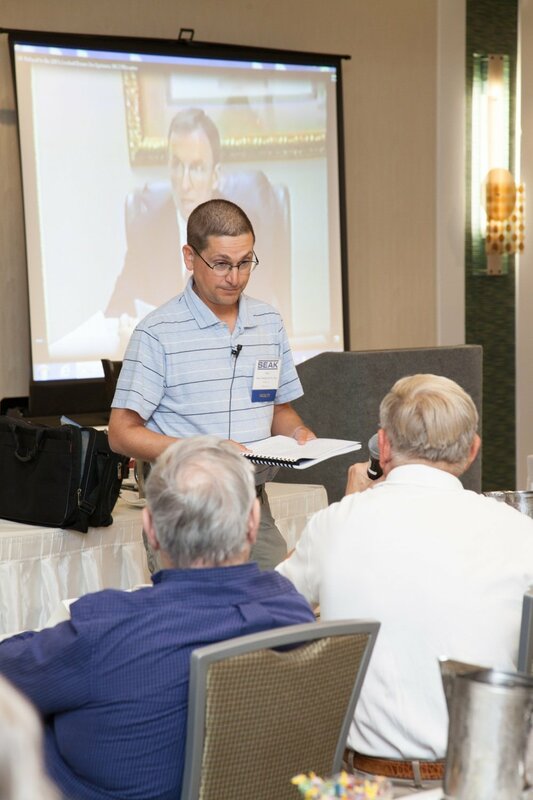 I have been reading and using Steve Babitsky’s and SEAK’s books and other materials for several years, usually when giving presentations on expert witness testimony. His materials are excellent. As President of the Financial Consulting Group, the largest organization of valuation, litigation services and fraud/forensics firms (the majority are CPA firms), www.gofcg.com I invited Mr. Babitsky to one of our annual conferences to give a one day seminar on litigation and expert witness issues. Steve received a perfect evaluation score of 5 out of 5 from the participants. It was the highest rated program we ever presented. All the participants raved about the seminar including both inexperienced and very experienced experts. I was also in attendance at Steve’s seminar and I can attest that it was very informative and a great learning experience. Mr. Babitsky knows this area well and has a talent for effective teaching. I highly recommend him. Thank you for wowing the members! Thank you for making me look good! Thank you for sharing your special knowledge! You rock! Thank you for your recent presentation of the Testifying Skills Workshop to our engineers and support staff. As you are aware, we are a forensic engineering consulting company whose engineers are frequently deposed in the course of their duties. The training you provided was detailed and comprehensive. We were surprised that it covered areas from website content to information contained in curriculum vitae. The engineers especially found the mock depositions useful and gleaned new techniques to help them with their next tough cross-examination. The staff walked away talking about the relevancy to our day-to-day operations. Because of the training, The Warren Group has begun to look at our internal operations with a new eye towards the engineer and our work product being “deposition ready.” We highly recommend this training to any other expert consultants who must face tough depositions in the course of their jobs. I want to thank you and Jim for everything SEAK has done for the Continuing Education Department and our on-site training program. You are exceptional presenters and trainers and the impact and quality of your seminars and instruction is a consistent theme in the evaluations we receive from our participants. When we hear comments like “this is the best continuing ed course ever attended”, and “the value of attendance was beyond measure”, or “over the top- the best I have ever experienced” we know we have teamed with a wonderful tandem of professionals who are highly committed to helping our individual members and member organizations achieve their training and development objectives. You are a pleasure to work with and your professionalism is unparalleled. You do a stellar job in working closely with our clients and in tailoring the training to their own specific set of goals and objectives and, in this way, you always project an outstanding image of the Society. Please know your hard work and your dedication is truly appreciated by everyone here. It is with great pleasure that I provide this recommendation for Steven Babitsky and James Mangraviti. My name is Donna Gumenuk and I am ASCE’s Senior Manager for Continuing Education Programs. Steven and James have provided training to ASCE members and others in the civil engineering community for over seven years. Their programs have been well received and consistently received ratings in the 9 and 10 category with 10 being excellent. I have attached two evaluations from their 2005 presentations for your review. Not only are they valued at ASCE for their fine presentation skills and technical expertise – but for their professionalism. Their response to any of my requests for information/explanation have been prompt and complete. 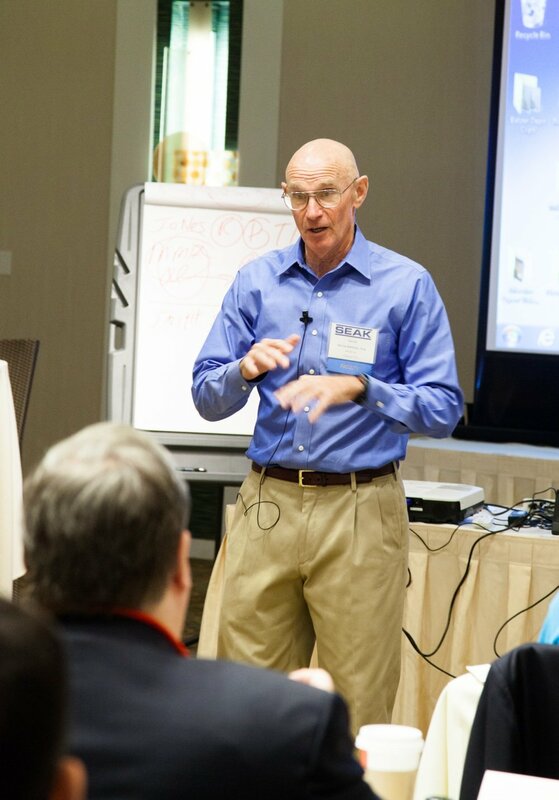 I am in a position where I deal with approximately 150 seminar leaders throughout the year. James and Steven are in the top 10% for their willingness to listen to ideas, explore new venues, and to realize my deadlines and for this I am truly grateful. The American Society of Safety Engineers held a symposium on Law for the Safety, Health and Environmental Professional. Jim Mangraviti of SEAK, Inc., Falmouth, MA produced and delivered this program to 120 of our Safety Professional members. Attendees were asked to complete an evaluation at the end of the program. Mr. Mangraviti received outstanding evaluation scores and comments from attendees. Our participants were very impressed with the quality of this program and the skill of the instructor. Mr. Mangraviti has a unique ability to engage students in what could be dry subject matter. For this program, he took the elements of negligence and the basics of Civil Law and transformed this information into a highly successful interactive learning experience for attendees. Mr. Mangraviti designed this program so that attendees could experience the Law in the role of a law student and an attorney. Attendees participated in question and answer sessions, completed a “bar exam” with the highest scoring students receiving prizes, and served as attorneys and claimants in a mock trial. I highly recommend Mr. Mangraviti as an instructor and SEAK, Inc. seminars. This was the second time I used SEAK seminars for ASSE members and would definitely call on them again to deliver education. Mr. Mangraviti was excellent to work with on both occasions. Because of my confidence in Mr. Mangraviti, I was able to organize this educational offering without concern for the quality of the program. It was a pleasure to attend such a well rounded, well presented training session. Very seldom does anyone attend such a training class with so much information, and interaction going on at one time and yet is able to comprehend each subject area. All of us at the Hawaii Chapter Veterans of Safety found this training everything that we thought it would be a more. Most of us do presentations from time to time on various subject matters related to safety and health and we have a great appreciation for speakers who can keep the interest going. You did a wonderful job and we all will miss you. Next time your in Hawaii please give us a call. On behalf of the members of American Society of Appraisers, we would like to thank you for your time, talent and teamwork during the International Appraisal Conference in Kansas City. The conference was a tremendous success and we would like to acknowledge your part in help making it so. Your session entitled “Expert Witness Testifying Skills & Report Writing For Appraisers” was most enlightening and certainly stimulated a very interesting and informative educational session. Taking the initiative and making the time for ASA says a lot about an individual and we know that members and nonmembers, such as you, are responsible for making ASA stand apart from other appraisal organizations. You do make a difference and are appreciated. Again, thank you for your commitment and dedication to the profession and helping achieve the standard of “excellence” we strive for in our educational programs. SEAK’s Law School for Jewelry Appraisers was a great success! James Mangraviti provided a well professionally developed and organized course of instruction similar to SEAK’s other “Law School for … Courses”, but slanted toward jewelry appraisers and containing appraisal and jewelry trade oriented examples. The class discussions generated between the instructor and conference participants were lively and educational. The copyrighted course manual provides a good overview of the law in general and applicable jewelry trade related issues in particular. The contractual agreement was easily developed and firmly adhered to from the inception of the proposal to the finished product. This course was our second venture with SEAK and lived up to all of our expectations. Mr. Mangraviti is an excellent instructor and classroom moderator who obviously has a firm understanding of his topic and is able to relate with his audience in an easy going affable manner. We look forward to using our already developed course manual, and having this same course taught, at a date sometime in the near future. The American Society of Consulting Arborists has worked with SEAK, Inc. for the last 4 years doing expert witness training. From the very beginning both Steve and Jim have been excellent to work with in taking our wishes and desires into consideration in the formulation of the workshops and summit programs. I cannot recommend them more highly. They are excellent in all aspects. This letter is written on behalf of SEAK, Inc., who has conducted four (4) consecutive Medical Legal Workshops in conjunction with the American Academy of Pain Medicine Annual Meetings in 2000, 2001, 2002, and 2003. The 2003 pre-conference event had the highest attendance ever- a testament to the high quality of this program. Steven Babitsky, Esq. and James Mangraviti, Jr., Esq. are outstanding presenters. Their ability to offer a hands-on course with interactive presentations keeps the attending physicians interested and involved. They consistently rank as some of the best speakers at our meetings, while the course itself always receives high marks from the attendees. Logistical planning and communication with SEAK, Inc. has been a pleasure. Planning for these pre-conferences is effortless, much to the advance preparation and professionalism of SEAK, Inc. On behalf of the American Academy of Pain Medicine, I would not hesitate to recommend this course. On behalf of our CME Committee, John L. Chase, MD, FACS, and everyone at Benchmark Medical Consultants, we would like to sincerely thank you for your participation in our medical-legal seminar on May 5, 2007. Your knowledge, experience and insight was extremely valuable to the further education of these medical-legal consultants and to the success of this CME activity. The comments from the participants on their evaluation forms were very favorable, as you have seen. These indicate that your presentation was effective, informative and addressed the objectives of the seminar. We would also be interested in any feedback you might have about the overall presentation. I will be meeting with our CME Committee shortly to discuss next year’s seminar. Given the success and effectiveness of your presentation, we may want to repeat it in the spring or fall of 2008, or present something slightly different, but with the same focus on improving testimony skills. Let me know if you would be interested. Steven Babitsky, Esq. and James Mangraviti, Jr., Esq. of SEAK, Inc., recently presented a customized medicolegal training seminar to our Rhode Island Neurological Association. They did an extraordinary job. Our members found their interactive style quite engaging. They provided us with an enormous amount of information during the day-long event yet no one was fatigued or bored. In short, it was one of the most valuable and enjoyable seminars that we have attended. 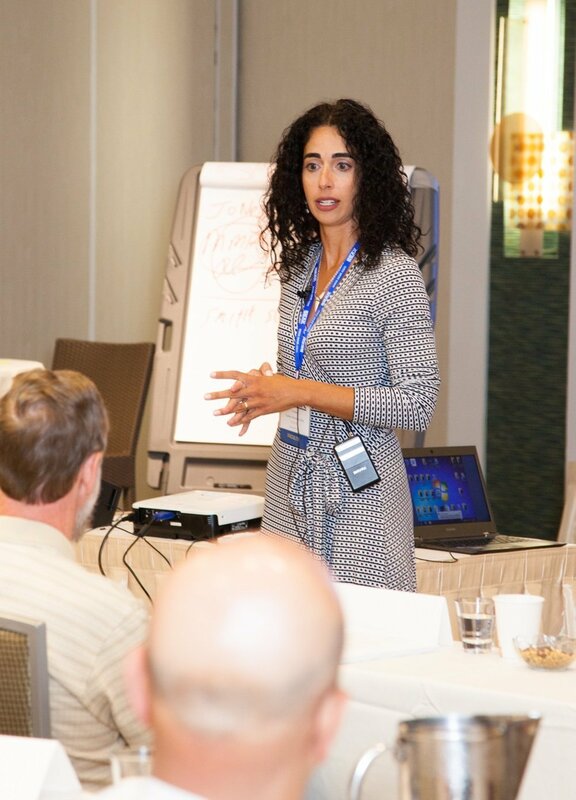 Congratulations on an extremely successful expert witness training seminar which you presented on Saturday March 23rd at the Hyatt Newporter Hotel in Newport Beach, CA. The reviews have been outstanding and those folks that I spoke with were so thrilled with what they learned and how the day was presented. No one fell asleep which is a plus for you and for us and in fact I haven’t seen a room full of people so wide-awake all day long. It was a pleasure to work with both of you. You make it all so easy! We at Forensic Expert Witness Association look forward to a very long and productive relationship for the future. Thanks and you put on a tremendous training program for the team. It was a pleasure meeting you and we look forward to working with you again.